JWoww‘s estranged husband, Roger Mathews, is firing back after his ex made explosive abuse allegations against him and posted some damning video … and he’s generally denying them, and promising to take JWoww to court. Roger just threw up an Instagram post, which included a video of himself addressing JWoww’s claims … and he kept it pretty brief, denying what she’s alleged … and vowing to solve this in court. He also says he’s not going to stop fighting for custody of his kids. Roger’s lawyers are demanding an immediate conference between the parties to stop what they call “economic damages” that Roger is suffering, not to mention potential danger. The lawyers claim Roger believes JWoww is trying to mobilize her millions of social media followers to cause him harm. Additionally, Roger’s legal team is asking for a mental evaluation of JWoww because they feel her behavior resembles that of someone with a “personality disorder with narcissistic tendencies.” Roger’s lawyers also want to know whether JWoww’s own lawyers knew she’d post these allegations, and allude to a potential lawsuit. Interestingly enough, in additional court docs, Roger’s lawyers say JWoww tried getting them kicked off the case with false allegations about how they’ve been conducting themselves. 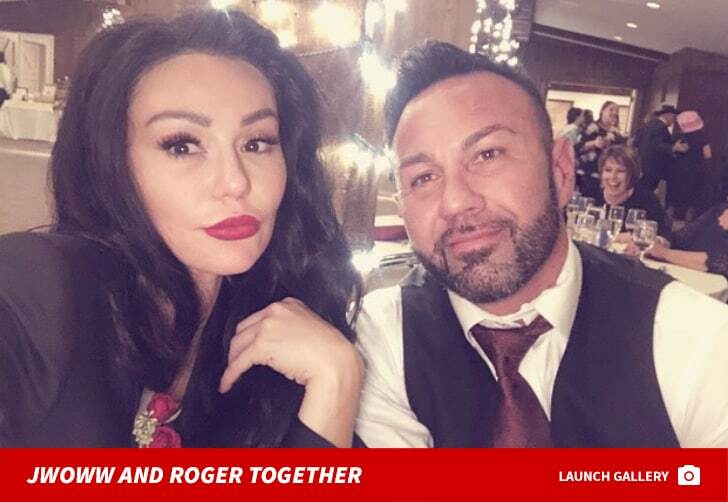 Roger’s legal team tells TMZ … the reason JWoww made her post Wednesday is because Roger declined a settlement proposal she recently offered up and responded with one of his own that he deemed fair. Clearly, she wasn’t down with his terms. Roger’s lawyers also tell us that Roger is a great father, and that she has acknowledged as much many times before. Regarding JWoww’s allegation of domestic abuse … his lawyers say they want to review the unedited video she posted before commenting. As we reported … JWoww made bombshell claims Wednesday in a very lengthy online post, which detailed what she alleges was persistent abuse from Roger over the course of their 3-year marriage. She says he’d spat on her, pushed her and prevented her from closing doors. JWoww and Roger are in the middle of a messy divorce. Looks like it’s about to get even worse.